Quick. 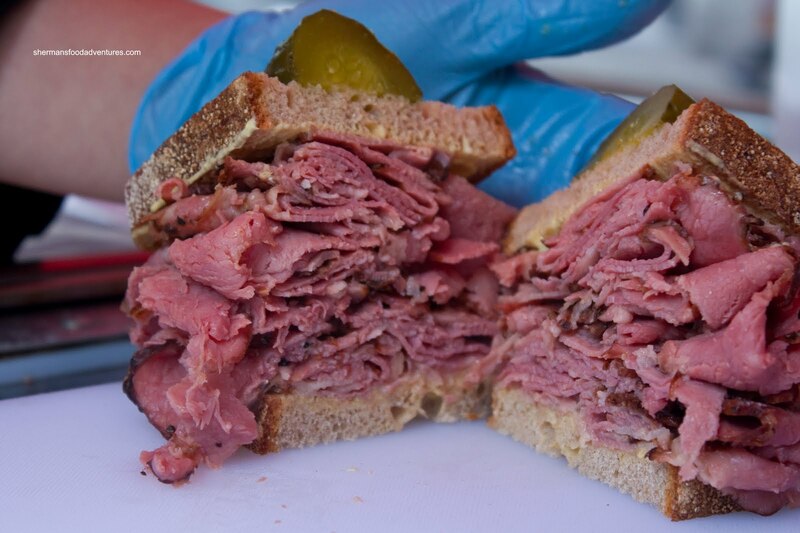 If some random person asks you where one would find a good Montreal smoked meat sammie, what would you say? La Belle Patate comes to mind. So does Estrella's in Langley. Don't even start with Kaplan's because that is more to do with corned beef. Besides, they are really stingy with the meat. As you can clearly see, there are not a whole lot of choices. 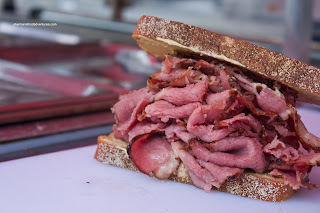 So it is not much of a surprise that one of the newer food carts to hit Downtown serves up - you guessed it, Montreal smoked meat sandwiches. 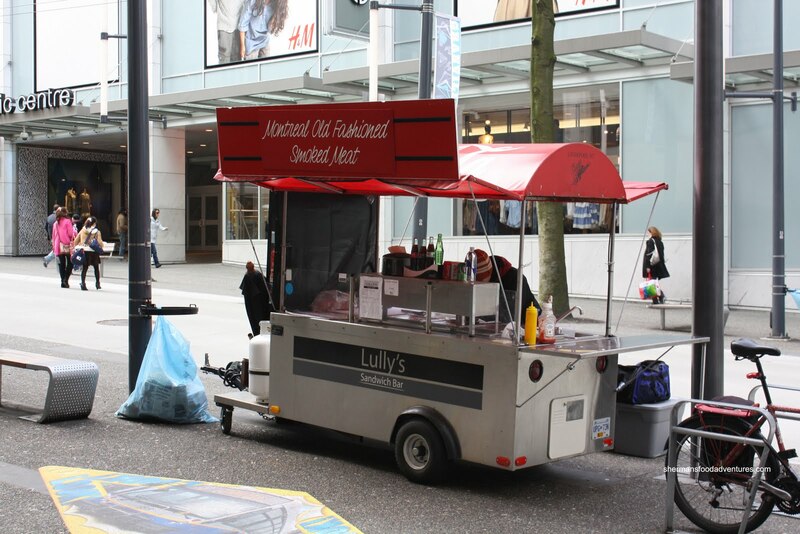 Formerly known as Panda Fresh out on Pacific Blvd, the outfit has been reincarnated into Lully's. So on a blustery day in Downtown Vancouver, I made my way out to the cart on Granville in between Georgia and Dunsmuir. While the meat was being steamed, I chatted with the operator and he told me that the meat was brought in from Montreal. As much as some people would cry foul since they do not make their own meat, I don't really care, as long as it is good. So yes, they don't make any of the ingredients, from the pickle to the bread to the meat. However, I must say I enjoyed the sandwich. The meat was fatty, tender and substantial. There are 3 sizes to choose from and I only had my eye on the Jumbo Stack, which is a 12 oz monster of a sandwich. Naturally, this doesn't compare with the Woody Allen at Carnegie in NYC; but we're not in NYC and that is too much meat anyways. For $10.00, I thought it was a fair price for the size of sandwich. Moreover, it was an enjoyable to eat. Sure, they didn't "make" anything, they merely assembled the sandwich. But I don't care, it was satisfying nonetheless.